LAS VEGAS – A large portion of VMware customers face a decision as the end of support for vSphere 5.5 draws near: Risk foregoing commercial support and security updates or pay up for a 12-month support extension. With just a couple weeks left until the Sept. 19, 2018 deadline, organizations are nearly out of time to upgrade to a newer version of VMware’s flagship virtualization software. VMware’s analysis of customer data earlier this year indicated 46% of vSphere customers still run version 5.5, said Mike Adams, senior director of product marketing for VMware’s cloud platform business unit, in a presentation at VMworld. Organizations, especially large enterprises, commonly take a cautious approach to critical software updates. But the large number of customers that still cling to 5.5 exemplifies long-held complaints about vSphere’s management client options. VMware responded to customer complaints about poor web client performance and retained the Windows-based C# client for vSphere 6.0. However, like many X.0 releases, that version was not quickly or widely adopted. In fact, according to VMware, versions 5.5, 6.5 and 6.7 all have more users than vSphere 6.0. The addition of a fully-featured HTML5 client in vSphere 6.7 Update 1 is likely to motivate customers to upgrade. Mathias said he’s also interested in the vSphere Platinum edition, which bundles 6.7 Update 1 with VMware’s AppDefense security software. Both Platinum and standalone vSphere 6.7 Update 1 versions will be generally available by the end of October, Adams said. That timeline could put some vSphere 5.5 customers in a tough situation given the Sept. 19 end-of-support deadline. VMware will not offer single-month extended support options, Adams said. So customers who want to upgrade from 5.5 to 6.7 Update 1 will either forgo support for at least a month or purchase the 12-month extended support package. VMware is not publishing the cost of that extended support, and a VMware representative said customers should contact their sales representatives for more details. VMworld is right around the corner and the 2018 conference promises an exciting mix of keynotes and breakout sessions that cover a variety of emerging and established technologies. Whether you’re looking to get a sneak peek at VMware’s multi-cloud plans, get updated on vSphere’s current capabilities or learn how security and DevOps go hand in hand, VMworld 2018 sessions have plenty to offer. VMworld 2017 featured announcements about VMware Cloud on AWS and Pivotal Container Service (PKS), as well as strategic revelations about VMware NSX. Many VMworld 2018 sessions feature these products, and much of the conference will likely focus more on partnerships than announcements. VMware NSX is again a topic of speculation, with some experts hoping that VMware uses its position to extend micro-segmentation to hyper-segmentation. Let us know in the comments which sessions you’re most anticipating. VMware is finding its footing in the cloud market, with its future depending on a multi-cloud strategy that emphasizes workload mobility. VMware Cloud on AWS, a centerpiece of VMworld 2017 and a major player in VMworld 2018 sessions, offers the ability and capacity to meet varying levels of demand. This session will cover VMware’s overarching strategy, use cases for different cloud tactics and how VMware Cloud on AWS, as well as other VMware products, can meet current and future IT needs. As CEO Pet Gelsinger said in 2017, NSX is the “secret sauce” to VMware’s future endeavors. Many current NSX adopters are previous VMware vSphere users, but further success of the service depends on adoption outside its core base, as well as agreement among a variety of IT departments including networking, compute and security staff. This session predicts the growth of a more heterogeneous data center based on the growth of containers and the increasing presence of workloads in public clouds. VMware is hoping NSX can ride these trends and offer extensive networking and security services that complement these evolving environments. Attend this session to get a deep dive into NSX’s architecture and evaluate how NSX can address changing data center needs. February 2018 marked the general availability of PKS and this session offers attendees the chance to get a comprehensive look at what PKS offers. New features make it easier to deploy Kubernetes to manage Docker containers at scale. PKS offers a self-service portal to tame the reputed difficulty of Kubernetes, as well as the ability to schedule health checks and updates. This session will focus on the isolation, security and high availability aspects offered in Kubernetes clusters. Attendees will be able to examine some use cases that are currently emerging among VMware users and determine if PKS adoption is in their future. A tour of VMworld’s 2018 sessions wouldn’t be complete without a return to “What’s New with vSphere”. This ever-popular staple offers a look at the capabilities of VMware vSphere through a high-level showcase of new and current features, as well as tech previews and information on its trajectory. This will likely be a good session to get up to speed on this robust and still evolving platform. Additionally, this session might also be useful for admins currently wrestling with vSphere 5.5’s recently announced end of life. VMware’s network virtualization service, NSX, has been top of mind for many IT professionals in the past year, and VMworld 2018 sessions will likely boost excitement even more. This session should provide attendees with the ability see beyond the hype and critically examine some of the present use cases for NSX. Get a closer look at NSX’s native networking and security features, as well as how it integrates with hybrid clouds and Amazon Web Services (AWS) resources. VMware will also provide more details and guidance on implementation, as well as a demo. The cloud market is evolving and so are best practices for management and execution. Hybrid cloud strategies offer methods for balancing workloads between the public cloud and on-premises data centers; increasingly, it’s up to admins to find that sweet spot. In this session, learn about workload placement, multi-cloud support and guidance on movement to AWS, Azure and other cloud platforms. Naturally, there will also be specific guidelines on deploying VMware Cloud on AWS. Execution will be everything in the maturing cloud market, so this session will likely have much to offer. Declarative control planes are growing in popularity. Declarative architecture is distributed and uses tools that set a desired state that a target device must interpret and match, whereas imperative architecture is centralized, so its tools must explicitly instruct the device. VMware vSphere currently offers declarative control planes for networking and storage, so this session will go over the path to a plane for compute. This tech preview will focus on capabilities available in the VMware Cloud software-defined data center and how those features open the way for a declarative compute control plane. Two dominant IT trends often create tension when combined: DevOps, which demands agility and interdependence between different teams, and security, which demands thorough compliance and strict review. This session presents methods for uniting these needs by building security best practices into DevOps procedures. The evolving cloud market often focuses on speed and mobility, so security needs DevOps to keep up. This session will feature research on the ways hybrid cloud security is changing due to decentralization and automation. Hybrid cloud presents a potentially seismic shift for organizations willing to adopt it, but it also presents an opportunity to reorganize those shifting elements with security and agility in mind and in sync. A schedule of VMworld 2018 sessions isn’t complete without a session that goes beyond the abstract and shares concrete details from a particular team’s implementation. In this session, representatives from Rubrik and Nextech Solutions will share how one team addressed application extensibility in a challenging environment rife with military and disaster relief operations. Hyper-converged infrastructure, including VMware vSAN and VMware vRealize Automation, as well as Rubrik, all played key roles. A particular focus of this session will be using vSAN’s security capabilities at the edge and the core. For those considering security at the edge, this session is a must-see. For attendees looking to get started with Kubernetes on vSphere, this is likely a session to prioritize. Kubernetes is an open source system for Linux container management across private, public and hybrid cloud environments. Kubernetes offers the ability to automate deployment, maintenance, scaling and scheduling of numerous application containers. This session will present best practices for using Kubernetes, as well as some lessons learned after implementing it in a virtual environment. It will also present other tools for creating service models and navigating different cloud structures, such as Kubernetes Anywhere, PKS and Kubeadm. Check out the rest of the VMworld 2018 sessions in the VMworld content catalog. File this under: Never try to eat anything bigger than one’s head. Four years after Michael Dell took his namesake company private in one of the largest leveraged buyouts (LBO) in U.S. business history, rumors are abuzz that the company will consider another IPO. Dell going public could raise cash and reduce the mountain of debt the company took on to go private. The company’s purchase of EMC and virtualization market leader VMware in 2015 made the combined $67 billion company one of the largest IT suppliers in the world. It might have also contributed to its financial woes. Dell sold off several of its business units after the LBO, such as its software and services businesses Quest and SonicWall — but maybe that wasn’t enough to fend off financial difficulties. Dell took on a lot of debt, and it wasn’t clear at the time how it would all be resolved, said Jean Bozman, vice president with Hurwitz & Associates, consultants based in Needham, Mass. The money raised by Dell going public would allow the company to swallow the rest of VMware, or at least that’s one option reportedly on the table. Presently Dell only holds a stake in VMware, reportedly worth some $50 billion, and has not exerted tight control over the virtualization giant, allowing it to pursue its own independent strategies. “VMware was allowed to partner with the entire industry from a hardware perspective, and maybe this was part of the [financial] problem too,” Bozman said. There may be no final decision for Dell going public – again — until the board of directors meets in the next few weeks. At the beginning of 2016, we asked our panel of experts on the SearchServerVirtualization Advisory Board to gaze into their crystal balls and offer predictions for virtualization trends in 2016. These predictions came hot on the heels of Dell announcing its acquisition of EMC, so it’s no surprise that the potential ramifications of this merger occupied their thoughts, but our experts also forecast the rise of containers and hyper-converged technology, an uncertain road ahead for virtualization and more. Were our experts given the gift of sight and the ability to prophesy the future? Read on to find out. Let’s start with the elephant in the room: the Dell-EMC merger. Dell bought out storage giant EMC in October of 2015 to the tune of $67 million and with it acquired a stake in VMware. 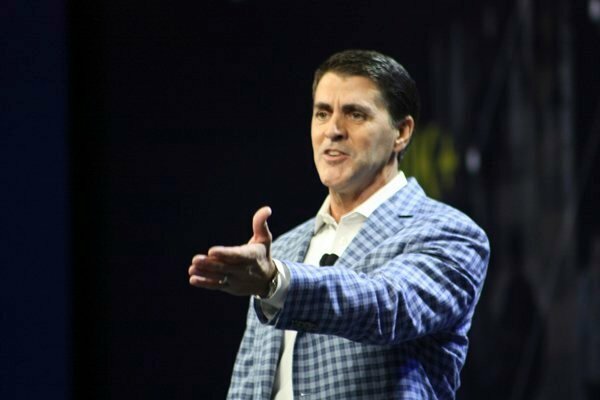 Dell and EMC CEOs claimed that the merger would result in the companies taking a unified leadership position in new technologies, and that EMC going private would allow the company to remain agile on the business side while keeping the peace with shareholders. For its part, VMware was slated to remain public. The Dell-EMC merger closed on September 7, 2016. This news was still hot off the presses back in January 2016, so our experts were left with more questions than answers. Brian Kirsch of the Milwaukee Area Technical College, deliberated the acquisition’s effect on VMware, wondering whether the virtualization company would remain a disruptive force or stabilize and become an established market player. Maish Saidel-Keesing of Cisco Video Technologies Israel questioned how the merger would affect the virtualization market. Fortunately, the insight and perspective of time have given us the answers to these questions. Initially, the merger appeared to be a dark cloud looming over VMware, coinciding with layoffs and plummeting stock shares. Despite the doom and gloom, the benefits of the merger for VMware have since become more apparent: VMware’s clientele will likely increase thanks to Dell’s sales team, and the merger has inspired the company to focus on new cloud and networking strategies with particular attention on NSX. As for its effect on the virtualization market as a whole, the Dell-EMC merger has created some confusion in regards to redundant products, support systems and sales teams, which has understandably led to customer anxiety. Going forward, Dell will have to make some cuts or, at the very least, some upgrades, which may result in the company emphasizing its best products. Our experts agreed almost unanimously that 2016 would be the year of the container, speculating that the capabilities of containerization would grow, that the number of container startups would increase exponentially and that container technology, such as Microsoft Nano Server, would make a splash. It would seem that our experts were right on the money with this prediction: According to a report from 451 Research, in a survey of 960 IT professionals polled on their adoption of containers, 32% said they were in the process of discovery and evaluation, 10% were running trials, 8% were focused on test and dev environments, 9% reported initial implementation in production applications and 5% reported broad implementation in production applications. Why the commotion over containers? Containers are easy to deploy and can be more resource efficient than VMs. They’re also faster to provision, offer greater performance in terms of speed and are highly portable. And the container explosion of 2016 isn’t just a passing fad — it’s carried over into 2017 and is expected to continue, with another 451 Research survey reporting that the application container market will grow from $762 million in 2016 to $2.6 billion by 2020. Another trend our experts forecast was the rise of hyper-converged infrastructure (HCI). It doesn’t take psychic ability to understand the appeal of HCI — it neatly packages the different elements of a traditional data center into a single appliance, and offers tighter integration. Rob McShinsky of the Dartmouth-Hitchcock Medical Center predicted that HCI would enter the mainstream in 2016 and that hyper-converged technologies would take their seat at the table as the base hardware platform for many medium- to large-sized organizations. This prediction proved particularly prescient, with IDC reporting hyper-convergence growth at 137.5% year-over-year during the second quarter of 2016. This veritable boom drew the interest of legacy and new vendors alike, with new HCI vendors leading the pack. The oversaturation of the market has led vendors to lower their prices significantly, which is good news for customers, but could spell trouble for vendors’ profits. As a result, the market has started to consolidate, as evidenced by the recent acquisition of SimpliVity by Hewlett Packard Enterprise. Our experts may not have proven themselves to be clairvoyant, but, for the most part, their predictions for 2016 rang true; we can only hope to be as perceptive looking to the future of server virtualization in 2017. This was a big year for virtualization products, but that doesn’t mean all of them hit home with customers. There were some significant misses, with product limitations disappointing potential buyers before they’d even been released. That being said, those product deliveries that addressed key customer concerns and included improvements with real world applications really set the bar high for next year. Read on to see what our picks are for the virtualization product winners and losers of 2016. With many highly publicized security breaches over just the last year, the importance of security cannot be overstated. As such, it’s no wonder VMware’s network virtualization product, NSX, comes out on top. Take its enhanced security features, including distributed firewall, edge firewall, data security, activity monitoring and flow monitoring, and add microsegmentation to the mix. That recipe alone would give NSX the win, but there have also been improvements to workflow automation. These features mean more portability and agility with reduced complexity and network operating costs. Unfortunately for VMware, vSphere hasn’t had the same success as NSX in 2016. It’s certainly not breaking news that vSphere is losing market share, but the reason behind the shift is worth noting. With more and more organizations virtualizing their data centers and moving to the public cloud, the need for vSphere as an on-premises platform is dwindling. Recent licensing changes might also have a negative impact on adoption rates. Along those same lines, VMware dropped the ever-popular Enterprise edition from its offerings, so now if customers want Distributed Resource Scheduler, they have to shell out even more money for Enterprise Plus. There’s been a lot of talk about Microsoft Windows Server 2016 over the last year, and with good reason. The recent release comes with improvements to Hyper-V, including the ability to hot add/remove vNIC and modify memory for running VMs, along with a new VM configuration file format, nested functionality, VM shielding, Linux Secure Boot and PowerShell Direct. Windows Server 2016 Hyper-V also comes with updated management protocol support as well as support for alternate credentials and earlier versions of Hyper-V. Some of these improvements are more behind the scenes, but the list goes on and on. Though Windows Server 2016 is now generally available, Microsoft Azure Stack, which was released as a technical preview in January and as an updated preview in September, won’t be delivered until mid-2017. Not only is the platform still a work in progress, but when it is finally released, customers will be limited in terms of the hardware on which it’s offered. Only servers from Dell Technologies, Hewlett Packard Enterprise and Lenovo with be integrated with Azure Stack. With more time for competition to respond and limited hardware choices for customers, Azure Stack could be at the back of the pack when all is said and done. The shift away from full desktop virtualization toward app virtualization is just one of the reasons Citrix XenApp takes the cake. Another factor to consider is that Microsoft is offering a free upgrade to Windows 10, which won’t support all of the legacy applications organizations have. Even without the leg up from Windows 10 adopters, XenApp provides flexibility for administrators who want the freedom to choose what devices and apps they use. Also, the recent update to XenApp is a considerable improvement, with Microsoft integrations, multilocation management and new service options. Enhanced features and security capabilities may bridge the technical gap between Citrix XenServer 7 and its competitors, but that doesn’t necessarily guarantee a win for the company. Without a surrounding ecosystem and product base, customers just aren’t going to choose it over VMware ESXi or Microsoft Hyper-V, nor will they see a reason to switch from their existing hypervisor provider. Automation is a big factor for administrators to consider as well. XenServer 7 doesn’t include built-in automation capabilities, so PowerShell scripting must be used instead. Sometimes simplicity is key, and if customer response is any indication, Ansible 2.0 proves it. The automation and configuration management software, which was acquired by Red Hat in October 2015, went through some back-end re-engineering to address scalability issues and improve cloud deployments, among other things. Portability across infrastructure set ups has been improved as well. What really sets Ansible 2.0 apart, though, is community involvement. The new version includes over 150 new modules. Other improvements to the software include execution modes that reduce deployment times and task blocks that ease playbook development. Ongoing OpenStack challenges may mean trouble for Red Hat, as deployment and security are still significant stumbling blocks for users. With OpenStack adoption lagging, Red Hat Cloud Infrastructure, based on the open source platform, might follow suit. To build a customized system, companies need employees with the technical skills to do so without vendor-provided support. Also, as the technology is still a work in progress, potential risks can become serious problems, especially at a larger scale. OpenStack may provide flexibility, but as a complex architecture, it’s only fit for specific use cases. As such — for the foreseeable future anyway — it doesn’t look like it’ll become a mainstream product. If there’s one piece of advice I’d give to first-time VMworld attendees, it’d be to sign up early for breakout sessions. VMworld’s 2016 Schedule Builder goes live July 19, and you can expect the most popular sessions to reach capacity soon after. If you don’t want to be waiting in the overflow line outside a packed room, it pays to review the session library, have a few options in mind and sign up early. With that in mind, we’ve picked through this year’s catalog to help you get a jump start on the crowds when the sign up window opens next week. Of course, these are just suggestions and are geared toward IT professionals using VMware’s server virtualization products, but there’s something here for everyone. Be sure to let us know in the comments below which sessions you’re looking forward to, or if we missed some of your favorites. What would VMworld be without this perennial favorite? If you’re curious where vSphere is headed, what’s up with the new HTML5 client or want to learn about upcoming features, be sure to check out this session. And of course, if you have any lingering complaints about VMware’s flagship product, this is your chance to be heard. One of the most commonly-used vSphere features, vMotion is loved by many and fully understood by few. As its title suggests, this technical session will cover new capabilities and tools for performance troubleshooting. The session description also teases a sneak peek at future directions for the live migration technology, including encrypted vMotion and vMotion to public clouds. Will you survive? Perhaps that’s a bit dramatic, but more companies are beginning to consider a DevOps approach, which often presents unfamiliar challenges. This interactive session between IT operations professionals and developers should make for an interesting discussion — one in which the audience is invited to participate. What’s next for network virtualization? This session will offer a technical deep dive into the future of network virtualization. It’s also possible attendees may hear about technical previews for future NSX features. Snapshots are meant to provide quick roll-back points and have important use cases, but they can quickly grow out of control and present performance problems. While fixing all of your operational nightmares might be a bit optimistic, this session is sure to be popular for administrators wanting to learn how newer VMware technologies can help better manage snapshots. This session’s speakers, William Lam and Alan Renouf, are among the best-known VMware bloggers for their insightful technical posts. Their session will serve as an introduction the vSphere API, including practical examples for both vSphere administrators and developers. It will also include a technical preview for future capabilities. What is new? Over the last year, all we’ve heard about vCloud Air has been rumors that the company had cut development as a possible Virtustream joint venture was explored. That initiative fell apart, but where does that leave the company’s public cloud now? It’s also worth mentioning that the two co-general managers presenting this session were recently tapped to replace Bill Fathers, when he added his name to the list of former vCloud executives who’ve recently departed. Customers interested in learning how VMware would integrate its latest acquisition should attend this session, which features the new VMware brand name for Arkin’s product. Visibility and simplified management of VMware’s NSX will be key to the product’s long-term success. The session’s description also hints at integration with VMware’s Log Insight tool. In an attempt to close the gap in the race for hypervisor supremacy, Citrix rolled out XenServer 7 in May 2016. The company’s latest hypervisor offering boasts new features and a unique security capability that makes it more comparable to VMware and Microsoft. VMware had a large lead with ESXi but Microsoft’s Hyper-V has closed the gap over time and now Citrix has caught up—at least from a technical perspective. Even as Citrix inches closer to the competition in terms of features, the sheer volume of VMware’s existing customer base and the lack of an ecosystem and products tied to XenServer 7 will keep it in the back seat for now. Citrix made a big leap back in 2009 when they integrated Active Directory with the release of XenServer 5.5. The company is hoping to make another push with the new features in XenServer 7. Citrix has added support for the Server Message Block (SMB) storage protocol in XenServer 7. For those using a Microsoft Windows environment, the new support for SMBs will help utilize existing file shares. Citrix didn’t stop there with new Microsoft capabilities in XenServer 7. Now, users can update the XenServer tools through a Windows update. Chen added that the ecosystem is very important for hypervisors, noting that a company could roll out the greatest hypervisor in the world but if there isn’t enough integration or certifications, it might not matter. Another reason that Citrix is inching closer to ESXi and Hyper-V in the feature department is its new security capability. XenServer 7 now has Direct Inspect APIs, which allows third-party vendors to help secure the operating system. Direct Inspect APIs allows the admin to look into the VM to see what it’s doing for security reasons. The latest version of XenServer also has increased the amount of NVIDIA vGPU-enabled virtual machines it can support. Citrix’s hypervisor was the first to support NVIDIA vGPU technology and has continued to grow its support levels. XenServer 7 also has increased scalability support for host RAM, CPU cores and VM RAM. While XenServer 7’s features are bringing it on par with ESXi and Hyper-V, it still lags behind because of its lack of a surrounding ecosystem. Microsoft still has the best shot at catching VMware because so many users already have existing Windows environments. For Citrix to compete, they will need to narrow their focus. XenServer 7 was made general available at the end of May 2016. The shakeup at VMware continues. The company confirmed this week that COO Carl Eschenbach is leaving for venture capital firm Sequoia Capital. Eschenbach was VMware COO since April 2012 and a 14-year VMware veteran. While the departure of a COO would be a significant move for any company, it wouldn’t necessarily catch our eye – except that it’s just the latest entry on a growing list of executive changes for VMware. In January, CFO Jonathan Chadwick left VMware and the firm also cut 800 jobs – many from its vCloud Air and Fusion business groups. Then, just last week senior vice president (and former Nicira CTO) Martin Casado left VMware for another venture capital firm, Andreessen Horowitz. In August 2015 CTO Ben Fathi left the company. Matthew Lodge, VP of cloud services left in October, and then earlier this year, VMware lost VP and chief technologist Simone Brunozzi. As the list of departed executives grows longer – and especially given their timing — it becomes harder to believe that this is simply a confluence of unrelated career moves, and not somehow related to the unfolding Dell-EMC acquisition. One analyst suggests the recent technology changes VMware has made alone demands a change in personnel. Gelsinger is certainly trying to paint the changes in a positive light, saying this week that the company is “well positioned to continue helping our customers transition to the mobile-cloud era.” His choice of words, though — specifically the ‘mobile-cloud era’ — also highlights the company’s focus moving forward. VMware has been a company in transition for the last several years as it has created new business units to expand beyond server virtualization. VMware’s value proposition in the market has endured for many years but the industry cycles are now churning ever faster, and they need to quickly move to more fertile ground, Woollacott said. Carl Eschenbach presents the general session at VMworld 2015. Photo by Nick Martin. That fertile ground has been a bit hard to find as of late. The company’s vCloud Air business has floundered, and the company acknowledges its first step into hyper-converged infrastructure with EVO:RAIL wasn’t the success it hoped. Some of these initiatives, such as its end-user computing (EUC) platform, have been very successful. It’s telling that Sanjay Poonen, executive VP and GM for its EUC division, will expand his role to lead the company’s worldwide marketing and communications. However, the recent exodus of executive talent could undermine the confidence of users just beginning to seriously evaluate Dell, EMC and VMware’s more traditional data center-class products. For IT shops that have already completed a revamp of their data centers with products from each company, the recent brain drain shouldn’t have much impact on future buying decisions. Ed Scannell, senior executive editor, also contributed to this post.